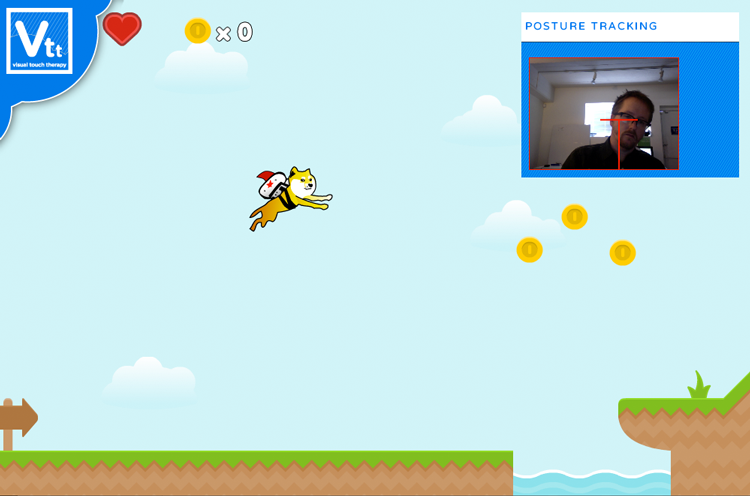 One thing that has become a concern with this project is to ensure “quality of movement” while performing movement exercises, so I’ve built a “posture tracker” that works with any webcam. Especially with stroke patients, addressing their “sense of center” or trunk stability is a crucial function. I’ve integrated custom face tracking software with the game app so that as you’re playing, it will monitor whether or not you’re leaning to one side, or tilting/twisting your body while moving. 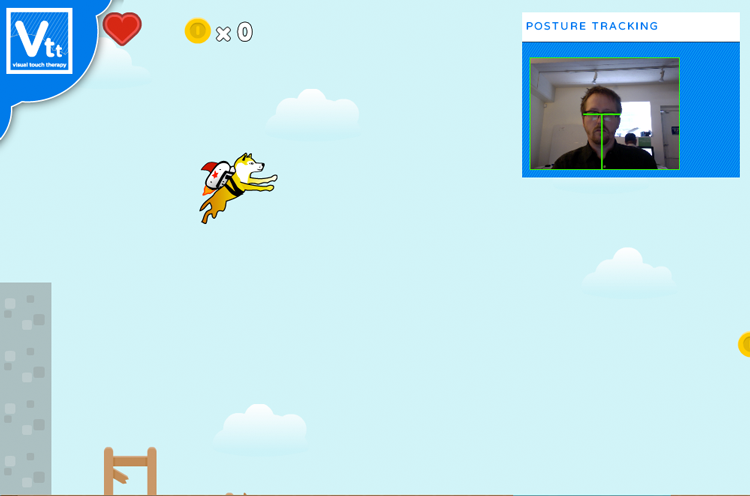 Here you can see the “Rocket Dog” game with the posture tracker on the right of the screen, with the green color indicating that I’m sitting up straight. As you play, it saves your “drift” data to the database and gives you a score based on the average of your movement from “center position”. Here I’m leaning over a little bit, and the tracker lets me know that I have drifted “off center”. After each game you can go to your dashboard to see how you’ve done in relation to what your performance was in the game. Here you can see the dashboard with the data for the posture tracker displayed. 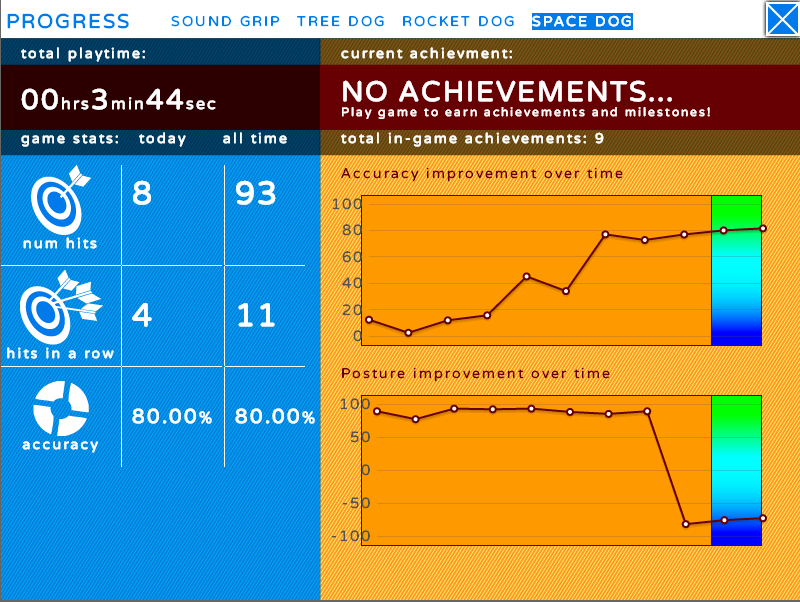 Right now it shows my “posture improvement over time” as being quite terrible– I’ve been testing micro-improvements as well as making sure it can register if I’ve fallen over on my side!